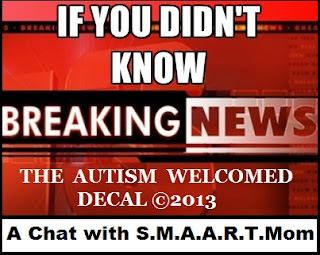 Autism Welcomed Decal ? " 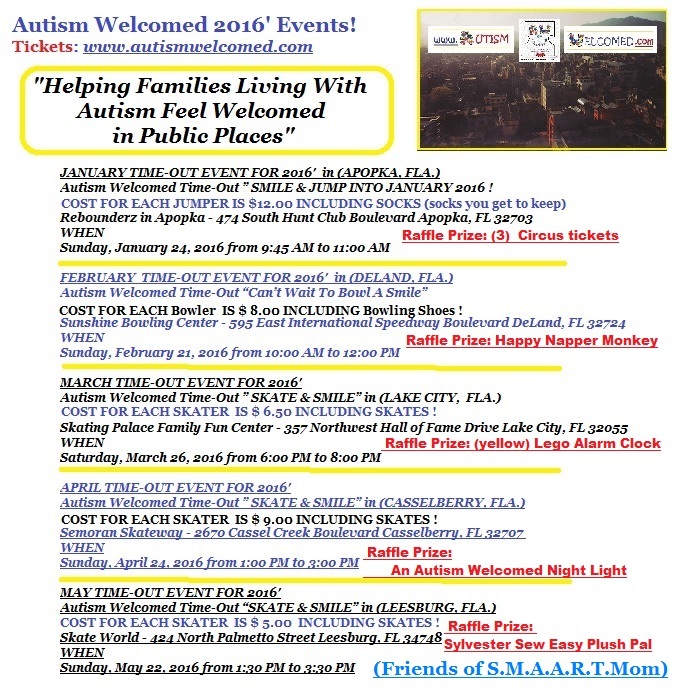 If You Didn't Know...Breaking News"
Autism Welcomed Decal's 2016' Events so far for this year! Share with Others, Print Out the Dates, & Post it to your Calendars or Fridge! 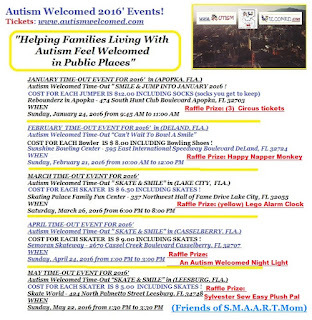 Where & What City will the Autism Welcomed Decal be Next? Please know that I’m not doing this for just my Dustin who has Autism….I do this for all of those families walking in my shoes and I will continue to hopefully, not let you down; only to OPEN more doors for all of us:) On that note….I hope you won’t let us down…come walk through those AUTISM WELCOMED doors with us :) Can’t wait to see your Smiles! BIG BIG HUGS!